What is it? Java Word Frequencies (JFreq) is a front end to Schbath’s R’MES, which finds the expected and actual frequencies of short nucleotide sequences, or words, using a Markov model to control for the effects of base composition and the frequencies of shorter words. Unusually frequent or infrequent occurrences of certain words may indicated biological relevance. R’MES can also determine whether words occur in overlapping positions unusually often or unusually rarely, and the expected and actual frequencies of user-supplied words. 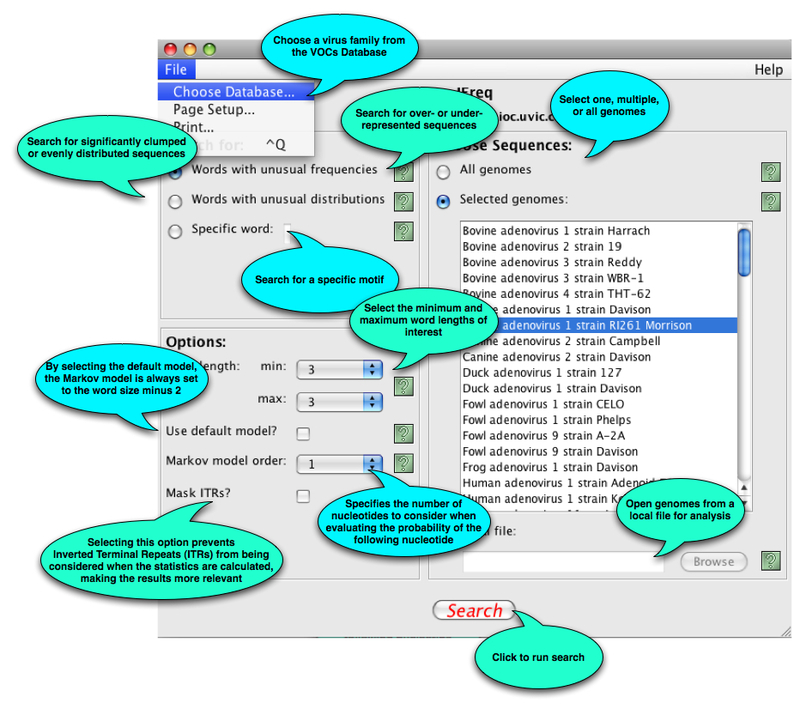 Sequences for analysis may be retrieved from the VOCs database, or loaded from a local file. Select JFreq from the VBRC Tools drop-down menu (top left of page). Click the Launch Program button. JFreq will be downloaded to your computer and Java Web Start will automatically start the program. 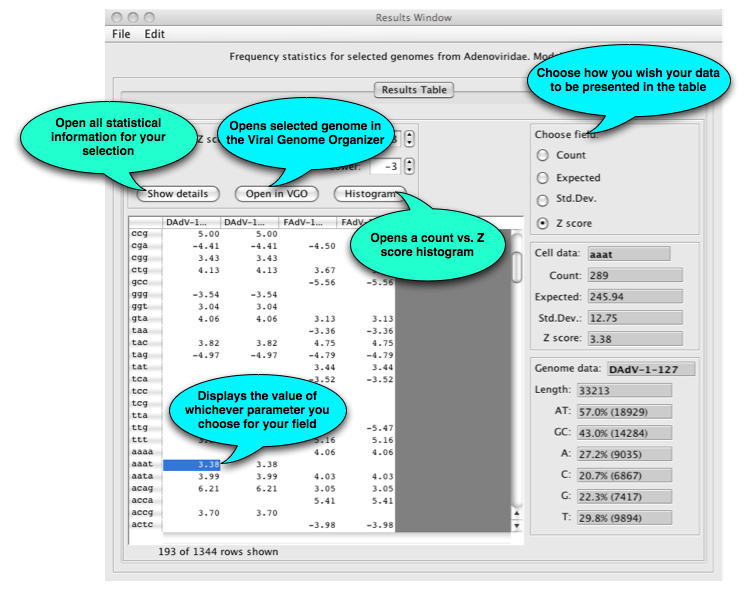 Choose a database from the file menu or load your own genomes. Click here to go directly to the JFreq page. What next? The main JFreq window shown below will open.